Rubber’s elasticity, toughness, impermeability, adhesiveness, and electrical resistance make it useful as a coating material. Neodymium magnets wrapped in protective coating rubber feature waterproofing and crushproof, as well as apply to delicate metal surfaces, providing a good level of corrosion protection for outdoor use and leaving no scratch. 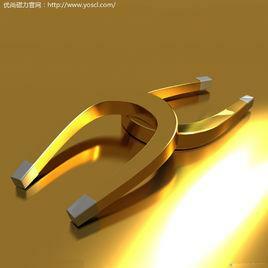 With neodymium magnets (NdFeB) inside, rubber coated magnets have extremely strong holding forces. With rubber coating outside, neodymium magnets have great durability and high friction which can stand steadily on various surfaces, such as glass. Rubber coated magnet assembly is a magnet system with bore, countersunk, eyebolt and hook that can be used with a range of standard fasteners and attachments. How to use Custom Rubber Coated Neodymium Magnets? These high strength, soft touch rubber coated magnets and assemblies are designed for different holding/mounting applications, such as furniture fixings, retail fixing, hanging artwork, keeping doors and drawers closed, holding heavy objects: lights, equipment, exhibit fixtures, tools, and other items in warehouses, manufacturing facilities, garages, work stations, etc. Uncoated neodymium magnets are easily oxidized. 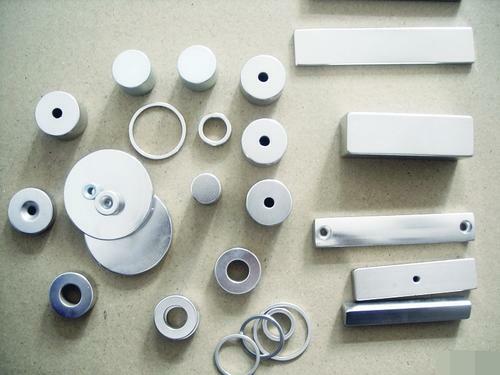 To protect our NdFeB magnets from corrosion, we will use different plating. Nickel-copper-nickel coating is the most common one. 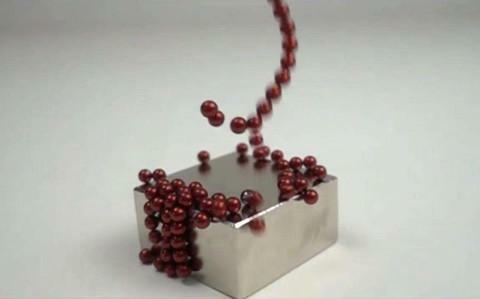 But even with electroplated coatings; you’d better use neodymium magnets exclusively in dry indoor areas. If you want to use magnets in the water or outdoors, NiCuNi+plastic coated is the right choice. Our plastic coated magnets are custom magnets wrapped with environment-friendly colorful plastic. They are waterproof and crushproof. Where to use rubber-coated magnet assembly? 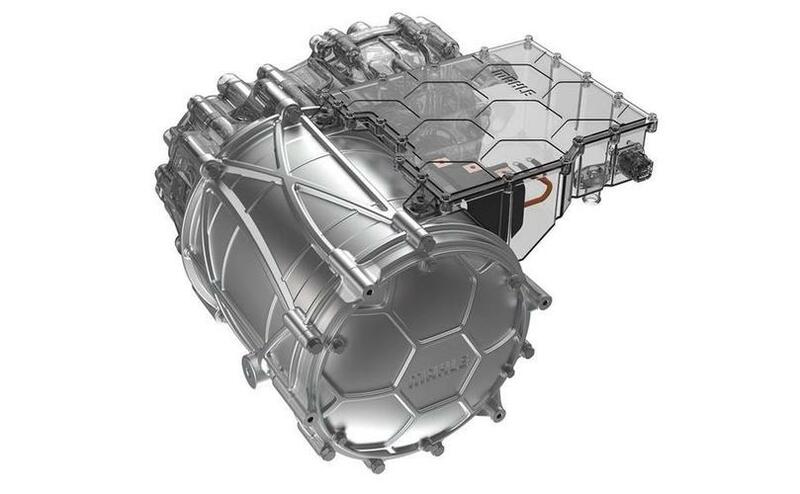 Adhesive magnets refer to 3M double-side adhesive NdFeB magnet. 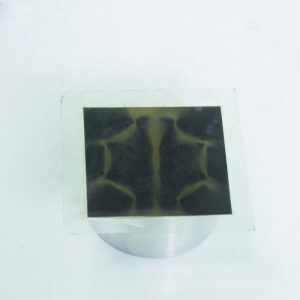 This magnet is usually used on box, purses, displays, electronic products and DIY household gadgets etc. With the help of magnetic force and adhesive force, the 3M adhesive magnet is an idea link to the ferrous and nonferrous object. 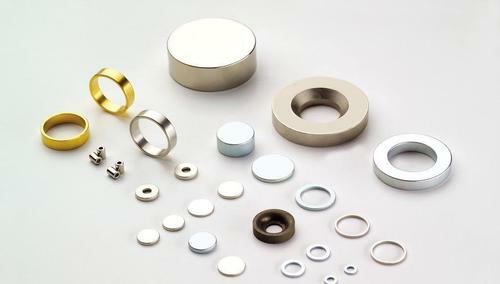 It contains three parts: sintered NdFeB magnet (disc, block, oval or based on your design), adhesive (foam tape VHB4945, 467MP, 468MP etc.) and liner. 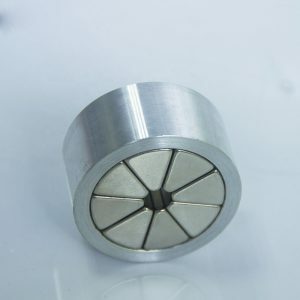 Neodymium magnet raw materials are widely used in the industrial field, such as a speaker, louder speaker, sensor, motor, alternator etc; And also it is popular in ladies bags, purses, shoes, crafts, and jewelry etc. A magnet for badges fastener provides a professional way of displaying name badges and identification without damaging your clothing. Magnetic name badge holder is with a strong magnet and metal molded, which allows the tag to be easily clipped onto your shirt or suit without the damaging effects of pins or clips. Magnetic name tags are perfect for suits or expensive clothing which you may like very much and you don’t want to be damaged. With strong permanent neodymium magnets attached, the magnetic id badge holder can be used over and over again, therefore it is also called a reusable magnetic name badge. 1. Ideal for professional or hospitality settings. 2. Additional fastener options including strap clips, lanyards, and magnetic are available. 3. Pocket badges do not need a fastener. 4. Available in multiple sizes and shapes. 5. Includes pin or swivel clip fastener. 6. Rectangle metal name badges come with square corners.